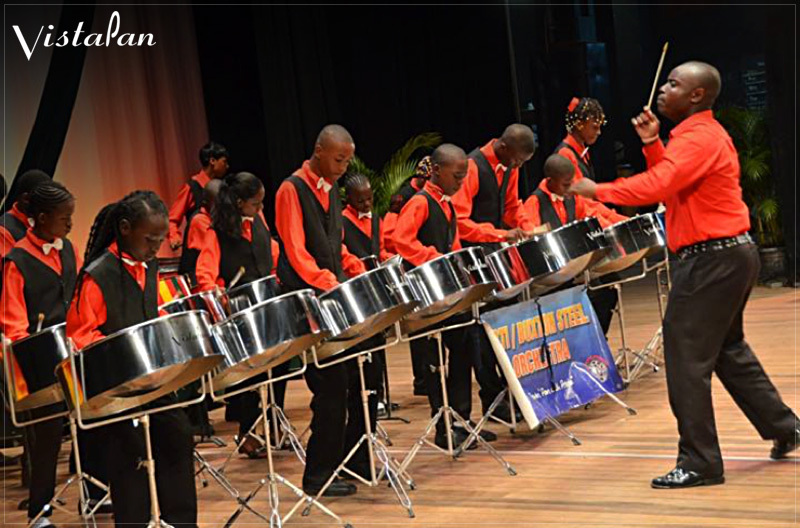 The outstanding Buxton Pride Steel Orchestra in Guyana, South America is directed by Fitzroy E. Younge (Rollo). They are shown here performing in concert on their VistaPan steel pans. They are the reigning School Mash Champions.